Top Trumps Celebs is a fantastic 5-reel 20-payline slot powered by Playtech. 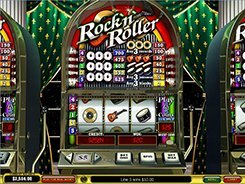 The slot has unique gameplay mechanics enabling you to select music and film stars you want to see on the reels. Each particular symbol offers six celebrities to pick from. 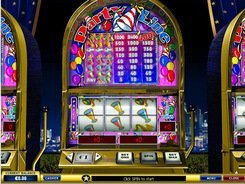 The maximum line bet makes up 10 coins, with a coin denomination varying between $0.01 and $1. You can choose which celebrity is your particular wild icon, for example, Elvis Presley, Madonna, and so on. Five wild symbols in a row bring an impressive 10,000 coins. Besides, wilds can replace other icons, except for a scatter and a Bonus symbol. The Top Trumps Celebs logo is a scatter, with three icons starting 10 free spins with extra wild multiplying wins by four when substituting. The Red Carpet Bonus feature starts, once a Bonus symbol occurs on reels one and five simultaneously. In the Bonus feature you must pick 3 celebrities out of 16. Each picture hides a generous cash prize underneath. PLAY FOR REAL MONEY!